the Nigeria national team are up against the Lone Stars of Liberia in an international friendly in Monrovia. 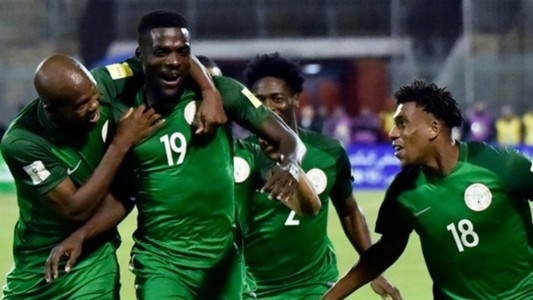 Super Eagles Coach, Gernot Rohr has chosen a new captain for the Nigeria national team as they get set to face the Lone Stars of Liberia in an international friendly in Monrovia. Israel-based John Ogu has been given the captain’s armband to lead a host of other fringe players for the Liberia friendly. Ogu has been a regular feature in the Super Eagles set up though he hardly gets playing time to the amazement of many who see him churn out fantastic performance week after for his club. Our starting line up against Liberia. Ikechukwu Ezenwa, John Ogu(C), Jamilu Collins, Ndidi Wilfred, Semi Ajayi, Oghenekaro Etebo, Kelechi Nwakali, Henry Onyekuru, Simeon Nwankwo, Joel Obi, Chidozie Awaziem.#SoarSuperEagles.